A committee of the UK House of Lords, the upper chamber of Parliament, struck a curious and at times critical tone when discussing blockchain technology and its impact on finance and government. 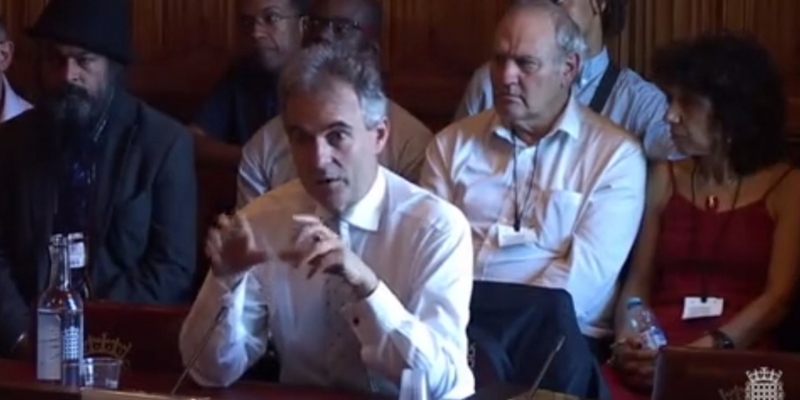 During an afternoon hearing of the The Economic Affairs Committee, members heard from academics and representatives of the blockchain industry, as well as Ben Broadbent, the deputy governor for monetary policy of the Bank of England. Lasting about three hours, the hearing demonstrated a mixture of genuine interest and skepticism on the part of committee members. It was the first major committee discussion of the technology within Parliament, and follows a period of growing interest within the UK government to pursue possible applications. In addition to Broadbent, witnesses who spoke included Digital Asset Holdings CEO Blythe Masters (who spoke via phone); 11:FS co-founder and director of blockchain Simon Taylor; Imperial College Centre for Cryptocurrency Research associate director Dr Catherine Mulligan; Gresham College professor of commerce Michael Mainelli; and PwC transformation and assurance director Lord Spens. During his appearance, Broadbent discussed both the concept of a central bank issued digital currency – which he indicated is an evolving, years-long process – as well as the technology’s broader impact on financial markets. Committee members asked a number of questions about bitcoin, though at times the digital currency was branded as “anonymous” (bitcoin is by design a pseudonymous system). The topic came up when one member asked how the Bank of England would operate a central-bank issued digital currency. Broadbent dismissed the idea that the Bank of England would use a similar model, indicating that any network, if it came to fruition, would be a permissioned one. “We would never have a system like that,” he said. He elaborated on this point during the hearing, suggesting that market participants wouldn’t want an open, permissionless system when asked whether financial institutions might use a bitcoin-like system to escape regulatory scrutiny Further, he indicated that financial system players would prefer one that includes oversight from regulators. “I don’t think that’s what we would be most worried about, because I think people would want us involved,” he added. One notable moment in the hearing came during the second of three sessions, when the topic of a welfare payments proof-of-concept developed for the UK government’s Department of Works and Pensions was criticized by some members as ethically unsound. Committee member and former UK chancellor Alistair Darling was vocally critical of the move, echoing past concerns raised by privacy advocates in the country. “It does raise an ethical issue as to whether the state should know if someone is spending money on one thing or another,” he said. In the back-and-forth that followed, Mulligan suggested that, according to her best knowledge, the proof-of-concept calls for an opt-in approach that wouldn’t require such oversight. That said, she conceded that there are privacy concerns that need to be worked through before such a system becomes production-ready. For more details about today’s hearing, check out CoinDesks’s live blog coverage.